That you’ve imported your list, created a beautiful email campaign and have sent it out to your list of loyal and raving subscribers. Now, it’s at this point of your campaign when some of the real magic happens with email marketing. Unlike traditional forms of marketing and advertising you can actually get some pretty valuable feedback from each and every campaign that you send out to your list. So in this QuickStart Guide we’re going to show you how to access and get the most out of your Campaign reports with MyBizMailer. Hover over the "Reports" section of the menu bar and choose the "Campaign Reports" option. 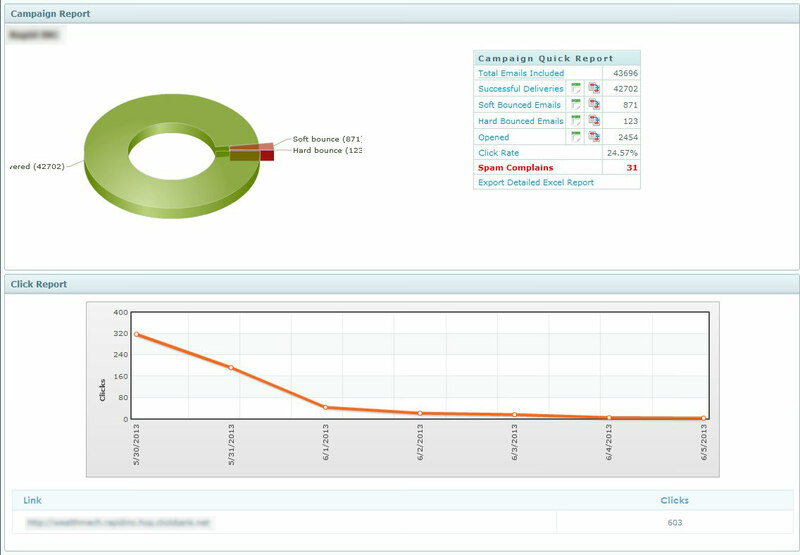 You will now be taken to the "Campaign Reports" page that will show you a list of all your previously sent campaigns. On this page, look to the right hand side of each campaign that is listed on the page and you will see two buttons - "Export to Excel" or "View Reports"
Pretty straightforward stuff here. If you'd like to download a .CSV of your report click the "Export to Excel" button. A CSV file will be downloaded to your computer with relevant information from that campaign. This is definitely the sexier of the two options. Looking at the reports via the dashboard is a visually beautiful and information rich experience. It's that simple to have relevant and timely data about your campaigns at your fingertips.